Last time, we tackled the ill effects of clogged gutters. This time around, Chase Roofing, LLC will explain how gutter maintenance benefits your roof. 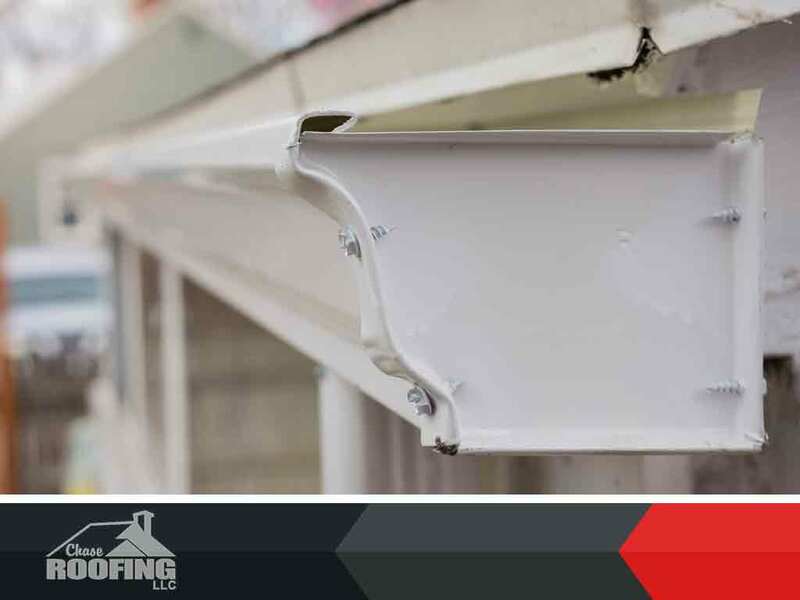 Your gutter system ensures the proper flow of rainwater and snowmelt from the roof to the ground. Any blockage causes water to either pond or seep into places where it shouldn’t reach. Clogged gutters and downspouts lead to roof-related water intrusion. Strong winds can blow leaves and branches off nearby trees into your gutters. Trim these trees to avoid clogged gutters. Gutter maintenance can uncover loose and balding shingles. Surface granules protect shingles from premature deterioration due to UV exposure. As shingles age, these granules loosen, leaving behind bald shingles. Loose granules in the gutters signal the need for roof repair or replacement. Age, though, is not always the only cause. Manufacturing defects, blistering, hail, foot traffic or branch friction are also to blame. The sooner you notice balding shingles, the earlier you can address them. Go to Chase Roofing, LLC for quality roofing products free of manufacturing defects. Ice dams can occur in winter even in a clean gutter system. Inefficient water flow due to clogged gutters, though, increases their likelihood. Preventing ice dams encourages you to keep your gutters and downspouts well-maintained. And that concludes our two-part blog. Don’t consider gutter maintenance a thankless task; it benefits your home a lot. Invest in a gutter protection system from Chase Roofing, LLC. It will reduce a lot of your maintenance time and effort. Chase Roofing LLC is your trusted roofing company. We serve Newport News, VA, and other nearby areas. Give us a call at (757) 333-0052 for a free consultation.